There have been countless op-eds written in the last three weeks in reaction to India’s dramatic “demonetization,” in which the government invalidated high-denomination currency overnight in an attempt to curb the scourge of black money. Will this demonetisation move sound the death knell for dirty money? 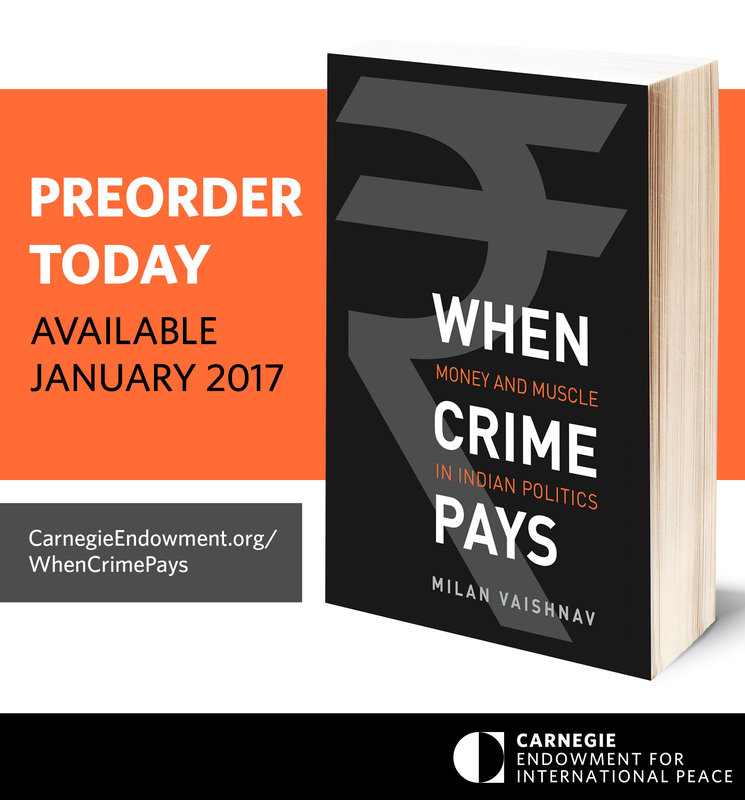 On its own, not a chance…If Modi is serious about addressing India’s unseemly money politics, he must take at least three reinforcing actions. What are those reinforcing actions? In short, closing political finance loopholes; tying tax breaks to political parties with new transparency standards; and directly attacking the underlying drivers of India’s black economy. For those who are looking for a suitable holiday gift for your politics-obsessed friends and family, the U.S. edition of my book (via Yale University Press) is available for pre-order through Amazon. In the coming days, I will post details about the India edition, which will be published by HarperCollins India. More details about the book, including pre-order information, can be found here. The election of Donald Trump as the next President of the United States has sent shockwaves throughout the country and the world. It is too soon to fully comprehend what has happened, why it has happened, and what it means. This nasty, brutish, and interminable campaign has revealed many uncomfortable truths about American democracy. These truths-the widespread prevalence of economic nationalism, white nativism, and anti-government rage-are not new, but Trump’s populist campaign provided them with a steady supply of oxygen. What will reassure friends abroad the most is America’s ability to get its own house in order, something that is-frankly-a question mark under a President Trump. America’s credibility has come under intense fire during this election. But what hurts even more? So has its character. Now that the U.S. election is over and done with, soon Indians (and many others) will turn their attention to the upcoming elections in the gargantuan north Indian state of Uttar Pradesh. UP is home to 144 million eligible voters (which is roughly equal to the number of registered voters in the United States today). If it were a country, it would be the world’s fifth largest (on par with Brazil). I have a new column in Mint that explores the emerging electoral strategy of the BJP, which sees a real opportunity to seize power in India’s most populous state. The strategy, to use a clunky analogy, resembles a “five-layer cake.” The five layers are: nationalism, Hindu majoritarianism, Modi’s personal popularity, the TINA (There is No Alternative) factor, and strong (if not superficial) headline economic numbers. To be sure, the BJP’s five-layered cake is hardly foolproof, but it could represent the party’s best chance of swaying voters to its side in a state where its organizational foundations are wanting. The stakes could not be higher, and the risks are—pardon the pun—already baked in.